It is so easy to be creative with Dempsey Designs. 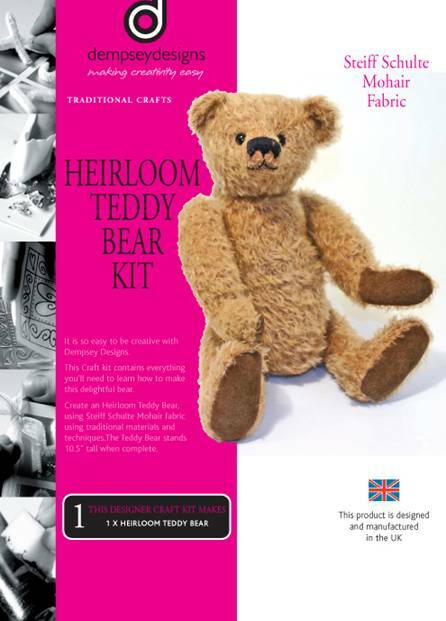 This Craft kit contains everything you’ll need to learn how to make this delightful bear. Create an Heirloom Teddy Bear, using Steiff Schulte Mohair fabric using traditional materials and techniques. The Teddy Bear stands 10.5” tall when complete. stuffing and plastic beads and full instructions and patterns.